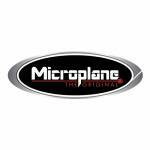 Made in USA, Microplane blade styles - Fine, Ribbon and Coarse. 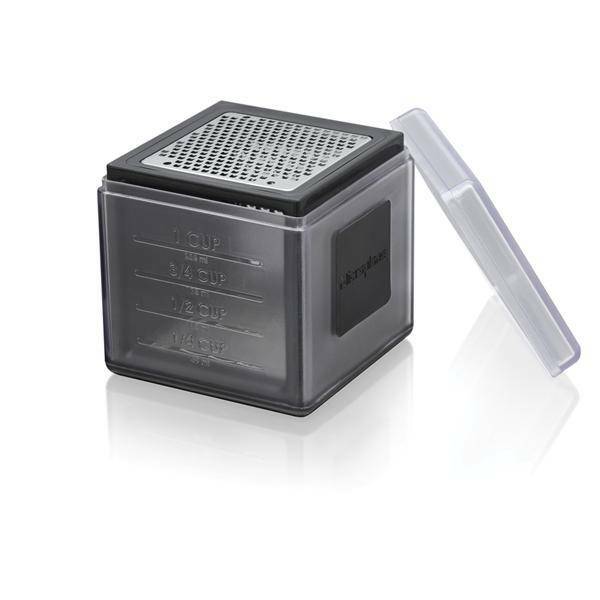 Catch and measure with up to 1 1/2 cup capacity with graduation marks on three sides. Catch features doubles as a reusable cover. Compact design for easy storage. Weight 9 oz. Materials: Surgical grade SS blade. Plastic housing. Blades made in the USA. Assembled in China.